It wasn't my intention to take almost the whole month of February off from blogging, but somehow almost all 28 days passed by with nary a peep from me. I even forgot to post a cute picture on Valentine's day anthropomorphising my dog, like I normally do. Why, you may have been wondering, did I forsake this blog for nearly a whole month (granted, the shortest month of the year)? It's because I have been busy starting a new business, Harrington & Luscia Special Events- I am now officially working as an event planner! 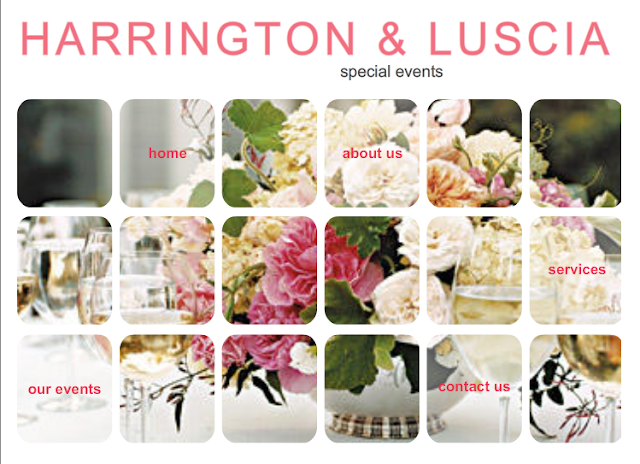 Please check out my new website (still a bit of a work in progress): www.harringtonandluscia.com (The "Luscia" part is my great friend, former Martha Stewart colleague, and business partner, Anthony, who is also an exceptional planner and more fun than should fit inside one human man). 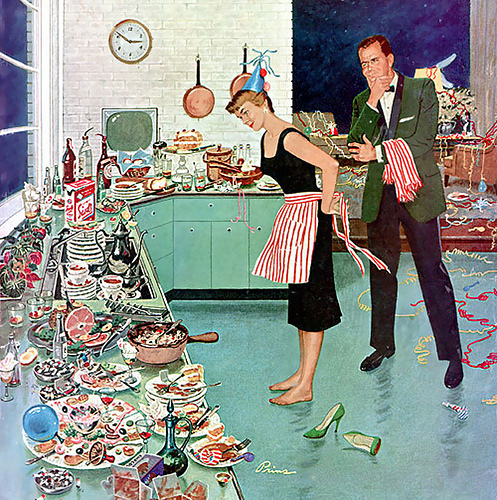 Don't worry, I'm still keeping up the housewivery, and I still love to make/fix/clean/cook things and write about them, so I will keep up this blog and my other writing. But, in some ways, planning parties in an official capacity feels like the fulfillment of my destiny. I have always loved throwing parties- when I was a little girl, I used to make the guest lists and plan the menus for my birthday parties six months in advance, even though I had (and still have, for the most part) the exact same group of friends I made in preschool. In college, I was the Social Coordinator for my women's club, and even once erected a large white party tent myself in order to save money (good thing it wasn't windy that night). After college, I went to work for Martha Stewart Weddings magazine for five years, where I was the Real Weddings editor, and spent my days designing crafty decorations, arranging flowers, and tying thousands of "perfect" bows on programs and favors (in 2008, my own wedding was in the magazine). I've helped many friends plan their weddings and parties through the years, and had my first "official" wedding in February, which went off without a hitch! Event planning (and wedding planning, in particular) suits me because it's creative, aesthetic work, that also feeds my appetite to be hyper-organized with lists, timelines, and spreadsheets, get to know people people and families at an exciting, celebratory time in their lives, extol the virtues of tradition and etiquette, and boss people around a little bit (but never my clients!). It's kind of a perfect fit. We are still building and expanding the business (look for a blog on all things party and wedding-related to come!) We are planning events all over the country in the next few months, and are always excited to talk to other people in the industry, or to offer advice and help to party planners and engaged couples. So please be in touch! Meanwhile, thanks for hanging in there with me on this blog! I promise much more frequent posts and updates in March. (But, just in case, my dog says Happy St. Paw-trick's Day in advance). In the past few years as a housewife, I think I have grown to become a pretty competent little home cook. I can chop like a champ, whip like a whiz, and puree like a pro. The one thing that took the longest to master, though, and that I still mess up every now and then, is timing everything so that it all is finished at the same time. Inevitably, the salmon sits out getting cold or, worse, overcooked, while I wait for the potatoes to bake through. 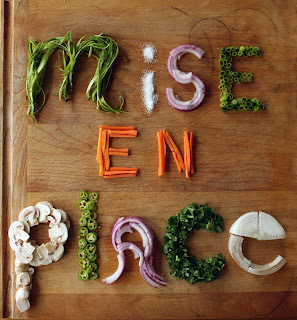 One strategy I have learned to combat this, is using the technique of mise en place. "Mise en place" is french for "put in place" and refers to "having all the ingredients necessary for a dish prepared and ready to combine up to the point of cooking" (thanks, Epicurious). Like in a cooking show, when the host has everything all chopped and measured in little bowls in front of them, and all they have to do is throw them together. Haven't you always wished you could cook like that? Well, you can! When you are cooking dinner, even just for yourself, don't just flip on the stove and dive right in. Slow down, take stock of what you'll need, and get everything organized in front of you, so it's all easily reached and ready to go at just the right moment. Dice the herbs, slice the veggies, and measure all the spices into a bowl. Because I work from home, sometimes I will chop the onions or slice the carrots in the middle of the day, and cover and set them aside for dinner. 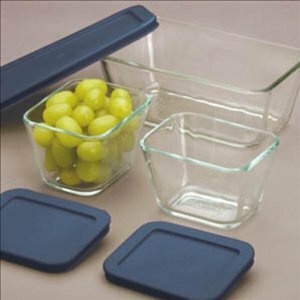 If you invest in a set of small dishes, like these Pyrex containers with lids , $14, from Amazon.com, you can take things right from the fridge to the stove. You can even lay out the pots and pans you will be using. It may seem like this will produce an unnecessary number of extra dishes, but if you are smart, and combine ingredients that can be added at the same time, and reuse bowls, you'll be surprised at how much work it saves you in the long run. I keep a small bowl of chopped parsley in my fridge at all times- I pull it out and use it over the course of a week, saving myself precious herb-chopping time every week. You'll be amazed at how much more fun cooking is when you aren't scrambling to mince the garlic before the sauce burns on the stove- you will truly feel like the star of your own cooking show. It's up to you whether you want to narrate your actions into an imaginary camera as you go, like I do. Bam! Out of the blue this week, I got an email from my childhood friend, Lea (who you might remember from this post or this post), with a couple of pretty great ideas for blog posts (with even the photos included!) that she just whipped up 'cause she felt like it. I have been busybusybusy (so what else is new?) and this little unexpected surprise arrived in the nick of time. 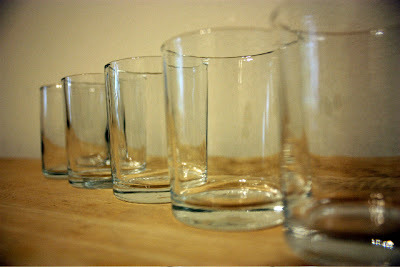 Check out yesterday's post for the best method for cleaning waxy, smokey, dirty old glass votive holders. And read on today to see some of the unexpected ways Lea has used them around the house. Candle holders: They aren't just for holding candles anymore. Thanks, Lea! 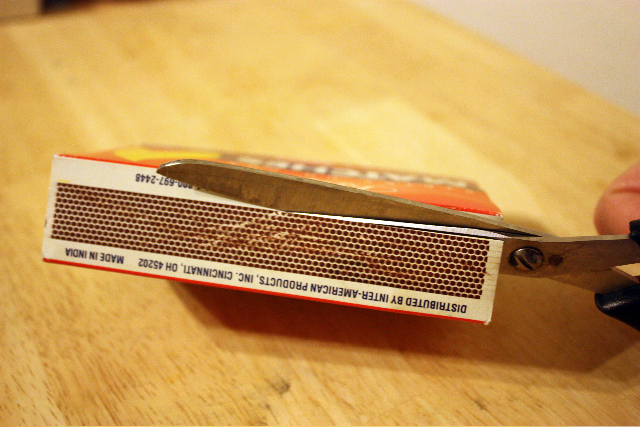 Step 1: Cut the striking strip off a box of all-purpose strike anywhere wood matches. 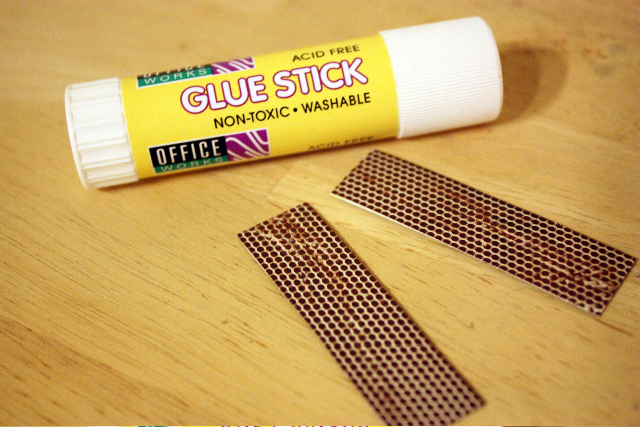 Step 2: Use an all-purpose glue stick to adhere the strips to the side of a glass holder. 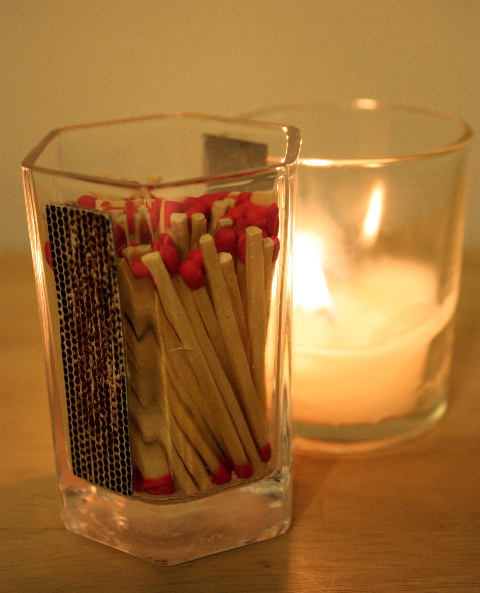 Step 3: Wait until glue dries, then fill the votive with matches. Much cuter than a matchbox, you can keep this match holder close at hand for whenever you need a light. It's one way to really strike a bargain. And even if you aren't feeling quite so crafty, you can find a million uses for glass votive holders all over the house. Votives are so pretty, match with any decor, and are very useful for holding all sorts of things. They make great bud vases, cotton swab holders, toothpick holders, mini bins for office, sewing, or art supplies, and whatever else you can think of (the possibilities are endless). 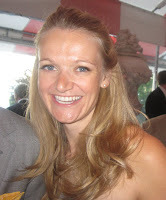 Out of the blue this week, I got an email from my childhood friend, Lea (who you might remember from this post or this post), with a pretty great blog post that she just whipped up 'cause she felt like it. I have been busybusybusy (so what else is new?) and this little unexpected surprise arrived in the nick of time. Plus, we're only a couple weeks away from Valentine's Day, and who couldn't use a little cheap, romantic candlelight in their lives? 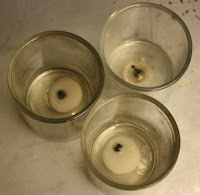 So bust out those gross, burnt, waxy, old glass votive candle holders you were going to throw away (or pick some used ones up for next-to-nothing at a thrift shop- they look great mixed and matched en masse), and give them a new lease on light (see what I did there?) PLUS: check in tomorrow to see a few unexpected uses Lea has found for her votives (including one brilliant craft project I wish I'd thought of). It'll be all the candle you can handle. Thanks, Lea! Every year, before the holidays, starting from when I was a child, I have made it my job to clean all of the votive candle holders in the house and get them looking fresh and new and ready for the season. I've always liked this job because it's a big mess/project/production and I get to experiment with different ways to remove candle wax. And when I was finished I loved the atmosphere that candles brought to the house. I tried many different approaches: Melting off the wax in hot water on the stove (what a mess...), putting the candle holders in the freezer and then picking off the wax (works OK for big pieces of wax but does not leave a clean look), scraping the wax off with a butter knife or fingernails (ouch!) or razor blades, or using hot water from the faucet to soften the wax. All of these approaches were difficult, time consuming, and always left me with a terrible waxy mess to clean up afterward. I was married a little over a year ago and I wanted to have a candlelit dinner as part of the celebration. Lil (a.k.a A Charmed Wife)'s mom had 50+ glass votives left over from Lil's brother's wedding that she said I could have. I was up for the challenge of cleaning them, but I knew I needed a better method. What I came up with put all of my previous years of work to shame! 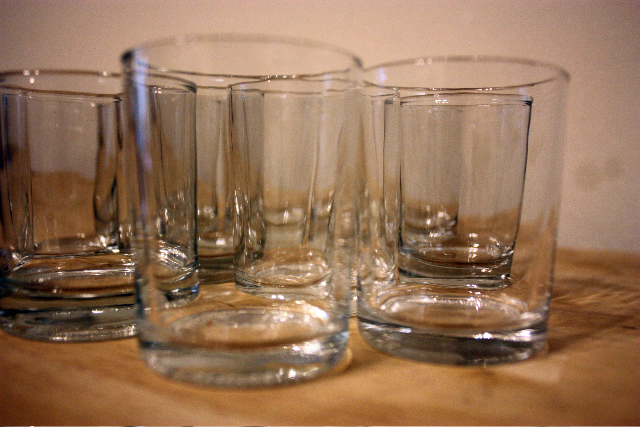 It is very simple and effective (at least for glass votives) and best of all... it leaves no mess! Here's what you do. Step 1: Put the oven on VERY low (100 to 150 degrees F) because you don't want an oven fire, and place all of your votives on an old baking sheet. (note: I did once cause an oven fire in my mother's oven when I was trying to make new candles from old ones and beeswax crayons... The oven was on WAY to high but luckily there was a fire extinguisher nearby... what a mess... sorry mom, you were so patient with me, I love you). 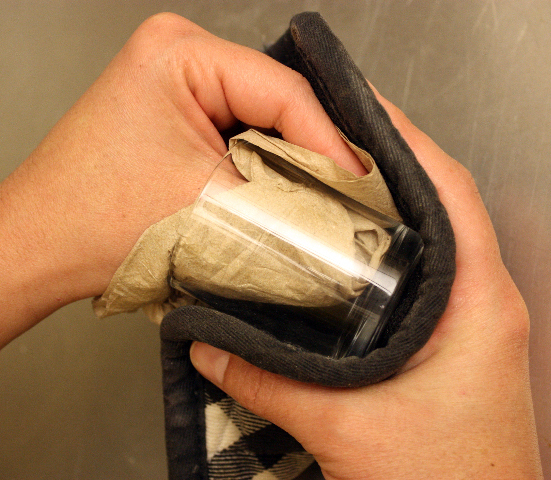 Step 2: Once they are warm and you can see some melted wax, remove only one of the votives from the oven with an old oven mitt or pot-holder (take care not to burn yourself) and pour the melted wax into an open paper bag that you have already set in the trash. Step 3: Next use paper towels or cut up old t-shirts or paper napkins (I hold on to unused takeout napkins and keep them in a drawer -just like my mother does- so I can use them for dirty jobs such as this) to wipe away the left over wax and any soot or dirt and !VOILA! you are done! 4) Repeat for all of your votives, throwing away your wiper into your paper bag when it gets to much wax on it. If any wax got on your baking sheet you can also just wipe it of:) Don't forget to turn off the oven, something I always need to remind myself to do, or else my husband reminds me with a worried look in his eye. 5) After this process, your votives will be very clean and ready for new candles. If you want them extra sparkly or if you want to repurpose them (check in tomorrow for some novel ideas), just wash them like dishes. I hope this gives you a motive for cleaning your votives! As I've mentioned (confessed, really) before, I have worn the same makeup types and brands for so many years, it's amazing that most of them are still in production. I recently had to stock up on some discontinued lipgloss on eBay- a pretty gross thought, really, but desperate times call for, well, pre-owned lipgloss. However, I recently was looking through photos of myself on Facebook (oh, come on, you do it, too) and I noticed something disturbing- I have a tendency to get shiny a few hours after I get made up. And not in that pretty-fresh-dewy-glow way (more in a I-just-rubbed-a-slice-of-pizza-on-my-forehead way). I first noticed this issue in a series of photos from my friend's wedding last summer (witness the horror at below right), but I consoled myself that it was a warm summer day, and I was probably just a little overheated. But my distress increased as I flipped further and further back in time, and realized this has been a bit of a chronic problem. Like, since forever. How did I not know this about myself, you ask? I'll tell you how- denial. It's powerful stuff, people. And as if that wasn't enough, this discovery coincided with another unpleasantness, which was the arrival of my first legitimate facial wrinkles. Pretty much the same day that I stopped getting zits with regularity, my skin decided to inflict a different kind of punishment on me, in the form of smile lines and crow's feet (which can also be spotted in the photo at right). Ugh. It became clear to me that I needed to add a new weapon to my grossness-fighting arsenal. 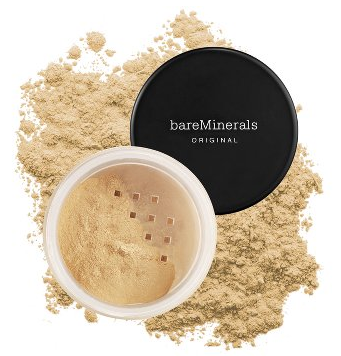 Luckily, my friend T, whose make-up skills have evolved since college, showed up just in the nick of time with exactly what I never knew I needed: BareMinerals powder foundation ($25, from Sephora.com). It's a super-light and natural looking powder that looks and feels way better than a liquid foundation; it just gently masks the flaws and leaves you looking like you. And it's SPF 15, too, so it actually prevents more wrinkles! Plus, it's made entirely out of natural minerals that won't poison you or clog your pores, and cause the acne to show up to the party, too, when you fall asleep with your make-up on (which I never do, particularly not after friends' weddings). My only suggestion would be to try to get to a Sephora store, or a make-up counter that carries BareMinerals to make sure you pick the exact right shade for you (there are 20 to choose from)- the only thing worse than a wrinkly oil-slick is the Kabuki mask of wrong-color foundation. I grew up in California, and, in case you were wondering, what the Beach Boys and Katy Perry have told you is true about us California girls. I was tan and wore flip-flops, shorts and bikinis all year. There was nary a boot, turtleneck, or scarf to be found within 100 miles of my closet. So, needless to say, when I moved to Boston for college, I was more than a little out to lunch and wildly unprepared for winter. Suffice it to say, I brought twelve sarongs with me, and zero coats. Step 1: Fill your sink with hot or warm (you heard me!) 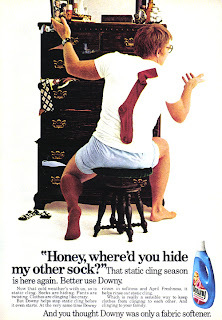 water and a squirt of Dawn, or another gentle dishwashing liquid, and carefully place your sweater in it. Contrary to popular belief, hot water is not damaging to wool, but regular laundry detergent (even Woolite) and agitation ARE. So avoid the urge to swish or agitate the water once you have put the sweater in, and just let it soak until spots are dissolved. Step 2: If your washing machine has a Delicates setting for "Rinse" and "Spin", you can move your sweater into the washer and use those two cycles to, well, rinse and spin it. If your washer doesn't do that, gently drain the soapy water in your sink, and refill the sink with warm water a few times until the sweater is rinsed. Then, carefully transfer the sweater to a dry towel and roll the towel until the sweater is just damp. Step 3: Transfer the sweater to a dry towel, and lay it out flat, in the shape the sweater will be worn. Allow sweater to dry completely before folding and putting it away. See- no sweat! Oh boy, oh boy, oh boy. A lot sure has happened since the last time I posted, huh? First, I spent a week in New York City running around like a headless chicken buying and wrapping Christmas gifts, decorating and cleaning our apartment, cooking, buying booze, and getting organized for our holiday party, cleaning up from said party (it was a blast), packing for our two-week bi-coastal holiday tour, baking six raisin coffee cakes, and readying the apartment for our absence. Then, we loaded up the car, drove up to Boston, and spent Christmas Eve and Christmas cooking, shopping, putting up Christmas trees, eating, drinking, opening gifts and playing with them, and visiting with JM's family (we also saw The King's Speech-amazing- run, don't walk, to the theater. But I digress). Then, on Sunday, we packed up all our stuff and gifts, and got ready to fly to California, only to learn that there was a huge snowstorm coming, and there was no way we were getting out. What followed was a circus of scrambling to re-think and re-book our plans ("Do you have any flights from Providence to Las Vegas? "), set to the mellifluous tones of 12 continuous hours of airline customer-service hold music. Somewhere in the madness, my in-laws' golden retriever ate one of the aforementioned raisin coffee cakes whole, and had to be driven through the blizzard to the animal hospital (raisins are potentially toxic to dogs, as you know if you read this, but he's fine now). Then, yesterday, as we carefully drove our way back to New York City (in a rare and precious rental car) to make our flights, we got word that they had been canceled again. So, we decided that sometimes you can't fight fate, that we weren't going anywhere, and we settled back in to our own cozy apartment, from which I am writing this. But all is not lost! If we can't have a vacation, at least we can have a STAYcation, and enjoy ourselves while we are holed up. We plan to take long walks in the Park, read our books by the fireplace, go to the movies, play board games, get drinks at fancy hotels, and generally try to ignore/put off non-pressing responsibilities until later. So for those of you who can't get out of town, be it for meteorological reasons, or logistical or financial ones, here are some tips for the perfect staycation. As a bonus, you might actually end up relaxed at the end of it. he real trick to a successful staycation is getting yourself to treat it like a real vacation. Obviously, we didn't really have the luxury of doing this ourselves, but, if you can, set beginning and end dates for your staycation. Let your office know you won't be in or available during that time. Resist the urge to say, "I'll just be at home, so if you really need me..." Then, start scheduling things you want to do for each day. If you really want to unplug, schedule a cleaner to come in on the last day of your staycation, to do all the laundry and dishes, and change the sheets. That way you can completely ignore your chores, guilt-free. You may think you know everything these is to do in your own town, but do some research on the internet, or in guidebooks for fun activities. You may be surprised by how many local tourism attractions you have never seen or done. I've lived in New York City for seven years, and the list of museums, art galleries, tall buildings, boat and walking tours I've never seen or been on is far, far, longer than the one of those I have. Not to mention all of the cool shops, restaurants and neighborhoods I haven't yet explored. Like pretty much all of Brooklyn. Sitting around the house watching TV does not a memorable vacation make (no matter how much you want to catch up on the last season of Dexter). To make a staycation work, you have to get out of the house. Think of what you would do on your ideal day (other than watching TV)- be it ice skating, skydiving, or reading in a coffee shop, and find out where to do it (if you have kids, make sure to ask them what they would like to do, too, and incorporate it into the plan). 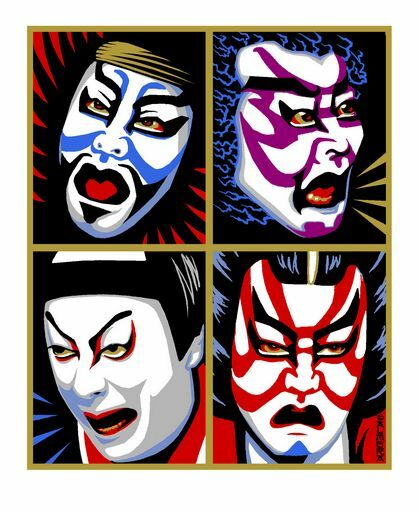 Buy tickets to a local theater production, amusement park, sporting event, festival or concert. Make reservations at restaurants and write out a plan and schedule for each day, and then follow it! Schedule a massage, spa day, or manicure and pedicure one day of your break. Go to that yoga class you've been wanting to try but never had the time for. If you eat out and order take-out during your break (as you should, unless grocery shopping and cooking are your idea of a fun vacation activity), just be mindful of not overindulging- a dessert or two is fine, but at the end of your vacation, you should aim to feel well rested, healthy, and good about yourself. Those of you who have read every post I've written since I started blogging 2+ years ago (Hi Mom!) may have wondered to yourselves why I have gone this long without ever doing a post on one of housekeeping's greatest mysteries and challenges- how to fold a fitted sheet. Well, the truth is that nobody's good at everything, and this is a skill I can honestly say I don't have. In the past, even when I have tried my hardest at neatly folding, my fitted sheets typically come out looking like some giant's used hankie. But that may be because I was doing it wrong! Check out this video my friend, Irene, alerted me to, via kottke.org. This lady takes the sheet and turns it into a perfect, flat rectangle, like some kind of sweet, nurturing magician, set to gentle guitar chords. I could seriously watch this video all day. And maybe after I watch it a few more times, I'll actually go into my linen closet and attempt it. Or maybe I'll just have a cup of tea. For those who prefer written instruction, here are the basic steps she takes (although, to use an idiom I think I just made up, "no one ever learned to walk by reading a book!"). Note: Your sheet will end up with much fewer wrinkles if you do this when it's still warm out of the dryer. 1. Take the fitted sheet, inside-out and place one hand in each of two of the pockets, along one of the long sides. Bring your hands together, and transfer the pocket on one hand on top of the other, so that both pockets are over one hand. 2. Using your free hand, follow the edge of the sheet down to the next loose pocket. Bring that up and tuck it inside the two pockets that are already folded together. Repeat with the fourth pocket so that all of them are nested together. 3. Still holding the sheet by it's corners, straighten any folds and the edges, so that the sheet forms a rough rectangle. Lie the sheet down on a flat surface and smooth further. 4. Fold the sheet in thirds width-wise, and then in thirds again lengthwise. If it turns out badly, just watch the nice lady do it again. One of my college roommates/besties just had a baby girl named Kyla, who is maybe the cutest thing going in the under-two-week set. While I was over there gaping and marveling at her teeny little fingernails and eyelashes, she did something amazing. (No, she didn't talk. Seriously, get real). She hiccuped. And her mom (weird, my friend is a mom) said that she has had hiccups a lot (I mean, a lot for an 8-day old), and that the doctor said that some people are just more prone to them than others. And when I heard that, my affection and sense of loyalty to this little squirmer - which were already pretty high for someone I just met - shot off the charts, because suddenly I knew that she and I had something in common (I mean, in addition to our favorite hobbies- sleeping and eating). 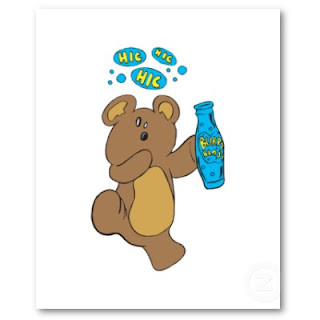 Because, I am ALSO a hiccup-afflicted individual! And before you wiseacres pipe in, it's not just because I drink a lot of beer, so shut it- I've been hiccuping abnormally oftenly since I was but a tiny tot myself. In fact, my mom says I got them moments after I emerged from the womb, although I can't verify that information myself, because I don't remember that day very clearly. I was probably too distracted by the hiccups to take much notice of anything. Hiccups, or hiccoughs, if you like to spell things the pretentious way, are involuntary spasms of the diaphragm or esophagus caused by a reflex triggered by the vagus nerve. You don't really need to know that, except if you are ever on a game show, and they ask you that specific question (if that happens, you should probably send me some of the money you win- it's only fair). Also, it's good to understand that for when I reference the vagus nerve in a pun the next paragraph. There are many ways of overstimulating or irritating the vagus nerve, triggering hiccups. You can do it by eating too fast, or too much, or spicy foods, by swallowing air, taking some medications, laughing a lot, or drinking alcohol or carbonated beverages- pretty much anything fun). In other words, what happens in vagus does not stay in vagus. (That joke was so worth it). So, theoretically, you could try to avoid getting the hiccups by eating small, bland meals very slowly, accompanied by flat, non-alcoholic beverages for the rest of your life. Or you can just find yourself a sure-fire, never-fail, hiccup cure, and be happy. Here's what works for me. 1. Hold Your Breath: Interrupting your breathing patterns typically will end your hiccups. The best way I've found is to take in a deep breath and hold it as long as you can, while swallowing a few times. Hold your breath until you turn red in the face, and then a few seconds after that. 2. Drink Water Upside-Down: This is the cure that works the most consistently for me. Unfortunately, it also is the most ridiculous-looking one. Fill a glass of water to the brim, plant your feet a few feet apart, bend at the waist, and drink from the wrong side of the glass. 3. Sugar Overload- Put a tablespoon of sugar or a sugar cube in your mouth and let it dissolve on your tongue. The extreme sweetness will jar your nerves. 4. Pull On Your Tongue- No idea why this works, but it does- stick out your tongue, grab it with your fingers, and pull it outward for a few seconds. 5. Get Tickled- Seriously, if the thought doesn't make you super uncomfortable, ask someone to tickle you- it will make the hiccups disappear. Personally, I'd rather drink water upside-down. 6. Take an Antacid- Antacids containing magnesium (Rolaids, Milk of Magnesia) can help calm the nerves, almost instantly. Sadly, because everyone and their mom has a favorite hiccups cure, there are a lot of terrible ones floating around out there. These ones might work, but just don't seem worth the effort, really. 1. Drink Vinegar- Um, gross. Also, all that acid can't be good for your teeth. 2. Get Scared- Seriously, have you ever seen this work? There's nothing scary about your friend saying "boo" when you're expecting it. 3. Stand On Your Head: Oh, for Pete's sake. What's more inconvenient- finding a place to safely stand on your head without flashing the other bar patrons, or having the hiccups for a few minutes? (Kyla, honey, Aunt Lily will explain what "flashing" and "bars" are when you're a little older). One final note: if your hiccups last longer than a couple hours, or are impeding your ability to eat or sleep, stop reading blogs, and go see a medical professional. There aren't many things in life that I like as much now as I did when I was twelve. For instance, I no longer listen to the Backstreet Boys on repeat, I don't have a crush on any of my older brother's friends (unless you consider my husband his friend), I doubt I would watch TRL, Dawson's Creek or Party of Five, anymore, even if they were still on the air, and I've finally accepted that I am not someone who should have bangs. But if I had to hang out with my twelve-year-old self for an afternoon, I know exactly what we could do that we would both enjoy: a drug store shopping spree. Ever since I started getting an allowance, I have taken a tremendous, unexplainable pleasure in shopping at the pharmacy. I love the cosmetics aisle, I love the non-perishable food aisle (pretzel buckets! ), I love the home-improvement section, the greeting cards and magazines, the school supplies... I could honestly spend hours browsing the aisles of the drug store. And, while I occasionally have rung up some whopper bills, I usually escape for under $30- try to have that much fun for $30 at the mall! I couldn't even take my tweener alter-ego to see the Justin Bieber movie for that. One of my favorite things about the drug store is how often to find something wonderful that you didn't know you needed, nay, didn't even know existed, until you spot it on the shelf. On a recent cold Sunday, I ducked into my local Duane Reade to pick up some necessity I had run out of, and found myself in that familiar happy place, wandering up the aisles checking out mustache trimmers and denture cream (neither of which I needed, thank you very much). I landed in the hair-care section, and that is when I discovered something that has become one of my favorite new products- the Goody Spin Pin , $5.99 for 2, from Amazon.com, or most major drug stores). I am (obviously) a sucker for anything that promises to make my life easier, and I was actually amazed at how well these things work (Goody claims they take the place of 20 bobby pins, and I believe it). All you do is form your hair into a knot or bun and twist the pins in, and miraculously they hold it. I have thick slippery hair that's cut in multiple layers and, if they work for me, they would work for anybody. I feel like these are one of those things, like the Internet, or cell phones, or running water, that once you have, it would be hard to go back to your life before them. Which is why I would buy several sets for Preteen Lily. Unfortunately, as miraculous as these things are, though, there isn't anything they can do about those terrible bangs. JM and I have lived in our "new" apartment for almost two and half years, now. In that time, I've painted every room, put up wallpaper and wood paneling, refinished the floors, and arranged and rearranged the furniture in every room at least twenty times. But, for some reason, we had not hung up hardly any of our artwork. We simply couldn't commit or agree on what should go where, so instead we left all our paintings and prints stacked in a corner of our kitchen, cluttering up our house as their frames got dinged and our walls stayed bare. It was madness, I tell you, madness. Finally, last weekend, we came to our collective senses, and decided that hanging artwork anywhere, even if it wasn't the perfectly right place, was better than the status quo of no artwork, nowhere. One thing we agreed on was that our tiny guest room/office needed a serious artsy pick-me-up. But the room is so narrow, we were concerned that hanging anything on the main sidewalls would make it feel claustrophobic in there. The solution? Lots of pieces arranged on the smaller walls, all the way to the high ceiling (to emphasize the air up there). Whenever you are hanging a bunch of artwork on one wall, it's important to play around with the arrangement to make sure it all fits together, and the proportions work in the space. A good way to do this, without committing to hammer and nail, is to cut out paper sheets the same size as each of your pieces of art. (We used newspaper, which works well, because it's readily available, free, and comes in big sheets. But if you go this route keep in mind you may have to Mr. Clean Magic Eraser some ink smudges off your walls when your done). Make sure to label each paper with which piece it represents, and which way is "up"). Then, use masking or painter's tape (so your walls won't be damaged) to play around and arrange the paper pieces on your wall, until you are happy with the way they look and fit together. Measure the length from the top of the frames to the hanging wires, and mark the distance on each sheet. Then you can simple hammer the hanging hook (I like this kind, $5.70 for 50 pieces, from Amazon.com) right through the paper, for perfect placement. Rip the paper away, throw the art up on the hooks, and voila! - perfectly spaced art. So much easier than rearranging the furniture. So, am I predictable, or what? Here it is, the first day of December, and I'm on the blog with a sweet bread recipe. Just like last fall, and the fall before that. I can't help it: I am an entirely unsurprising human- I've had the same haircut and used the same makeup for eight years, I'll watch every Real Housewives Bravo can throw at us, I like exactly the same movies Roger Ebert does, and you could set your watch by my seasonal cravings. What were you expecting: a sorbet recipe? And this kind of bread is perfect for this time of year- it's easy to make, makes your kitchen smell amazing, works as both a breakfast pastry and simple dessert during the entertaining season, and travels well as a gift. I bake up a bunch of loaves at once, wrap them up attractively, and bring them to holiday parties as a welcome alternative to another bottle of wine (not that I would turn down a bottle of wine, ever). Anyway, I sort of improvised this recipe to make it a little spicy and flavorful, and I was pleasantly surprised by how well it turned out. So, see? It seems predictable ol' Lil has a few tricks up her sleeve after all. Step 1: Preheat the oven to 325, and grease two loaf pans and set aside. In a medium mixing bowl, place the flour, baking soda, spices, and salt, and whisk to combine. Step 2: Peel the apples, and chop finely, and set aside. A combination of whatever varieties you have floating around in your fruit bowl will yield a more complex flavor. I used Galas and Granny Smiths. Step 3: In a large mixing bowl, combine the eggs, butter, sugar, and vanilla, and whisk to combine. Slowly add the dry mixture to the wet mixture, and stir well to make sure all is well combined. Then, fold in the apples and walnuts. Divide batter evenly between two greased pans, and bake for about 75 minutes (or until a toothpick can be poked into the center and comes out clean- you know the drill). Cool for 15-20 minutes on a rack before inverting pans. Step 4: Wrap cooled loaves tightly in foil, and store at room temperature. They will keep for up to 4 days... not that you will be able to resist eating them long before that. Predictably delicious.